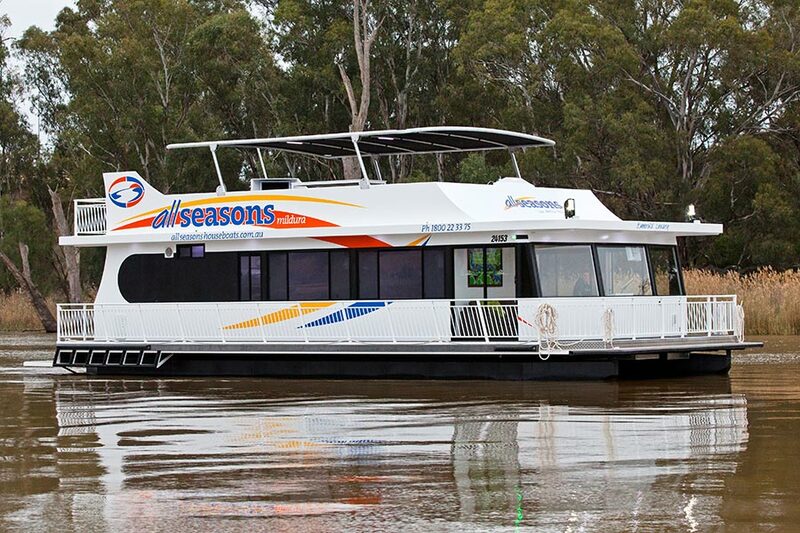 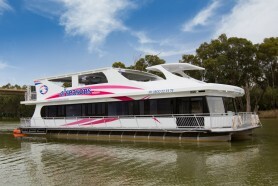 The Murray River’s newest boat is here and supporting Breast Cancer awareness! 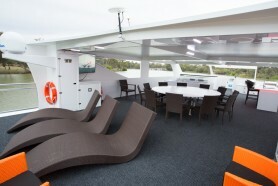 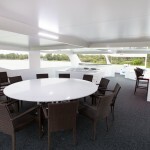 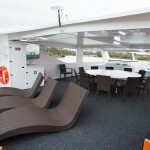 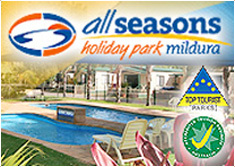 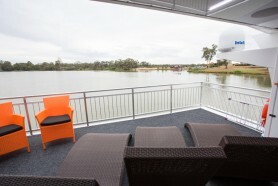 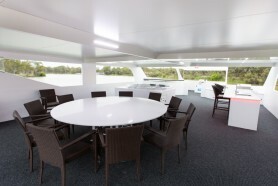 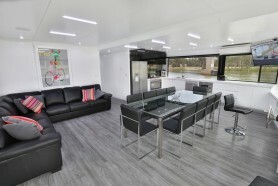 Outstanding houseboat with exceptional quality. 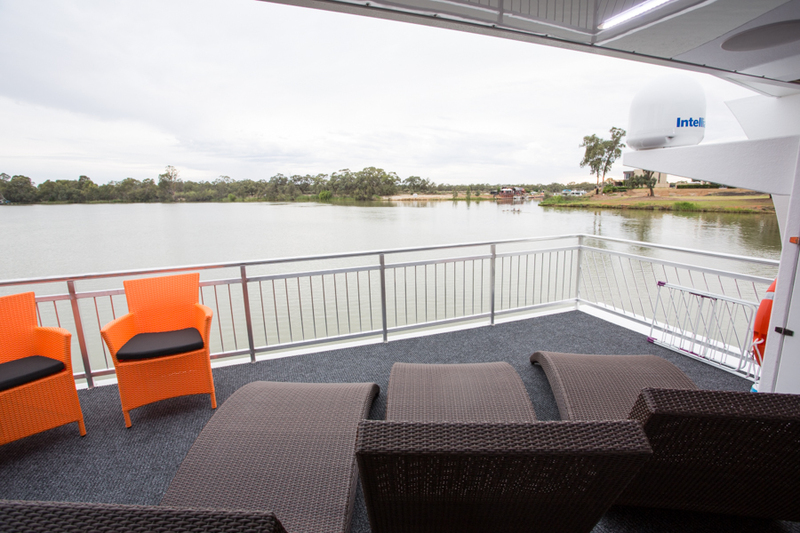 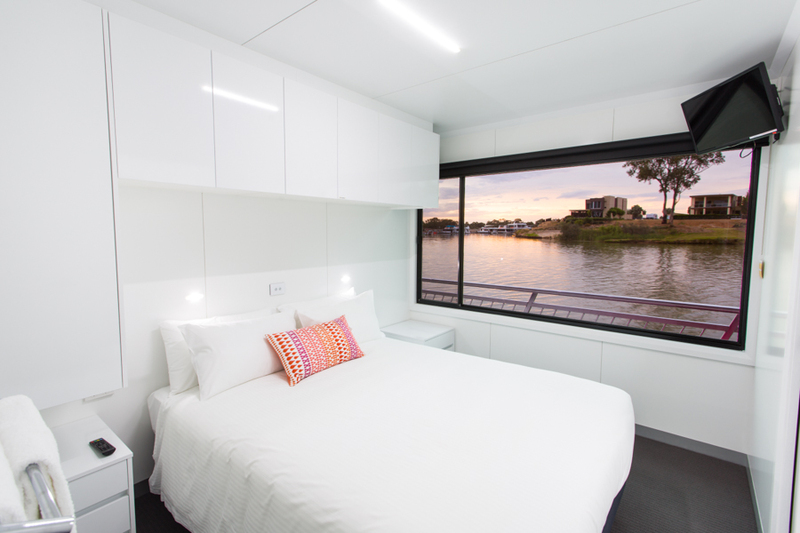 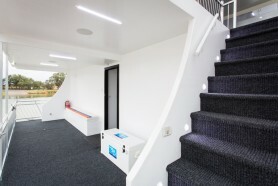 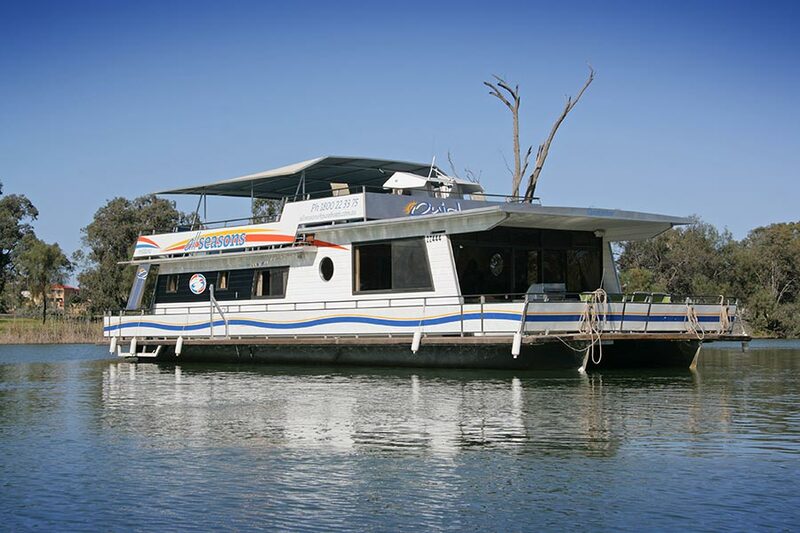 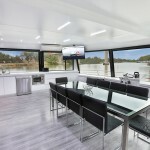 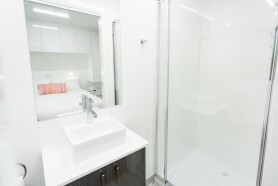 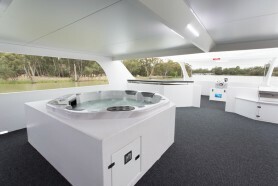 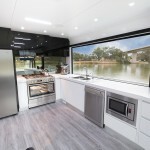 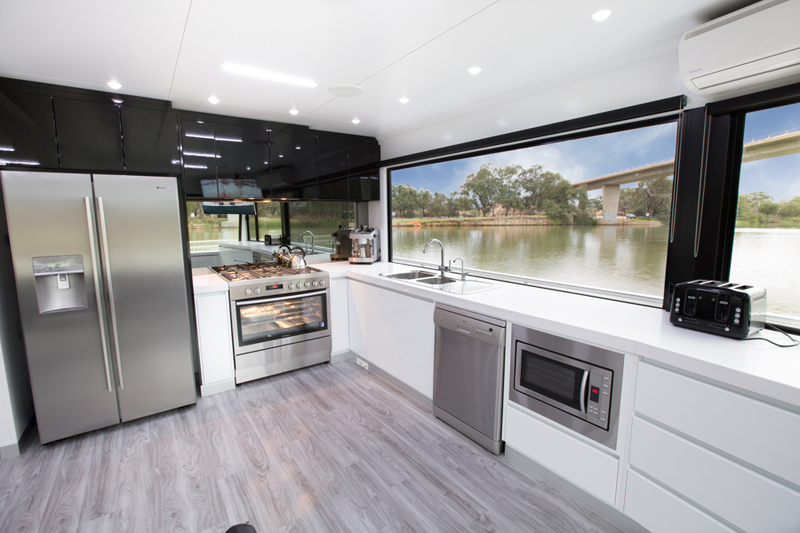 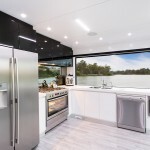 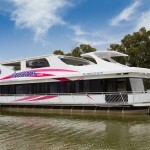 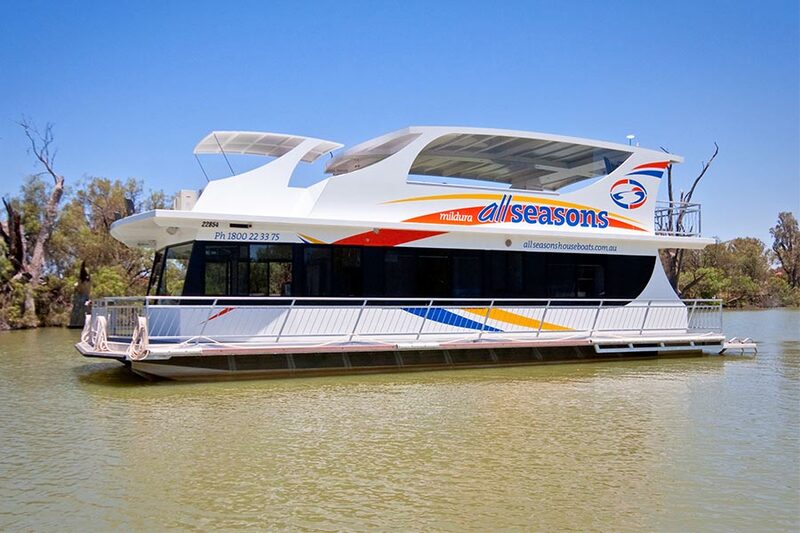 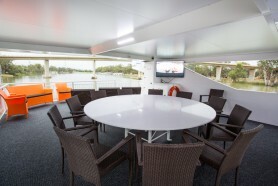 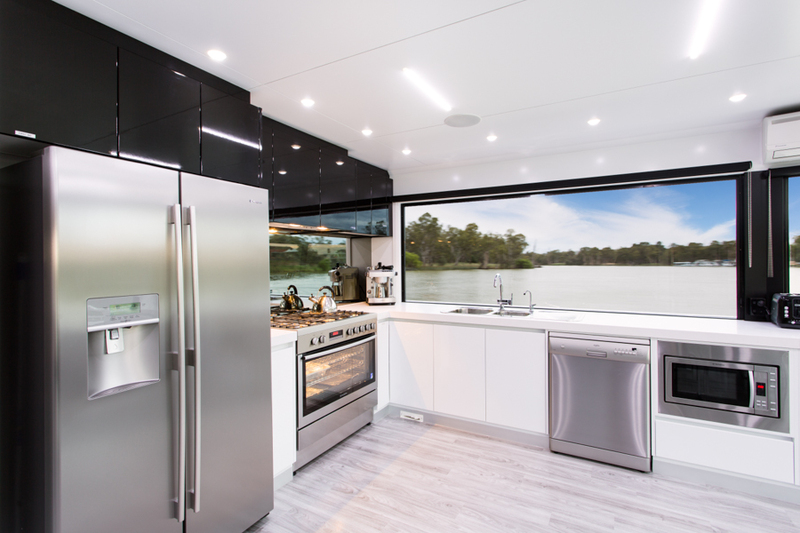 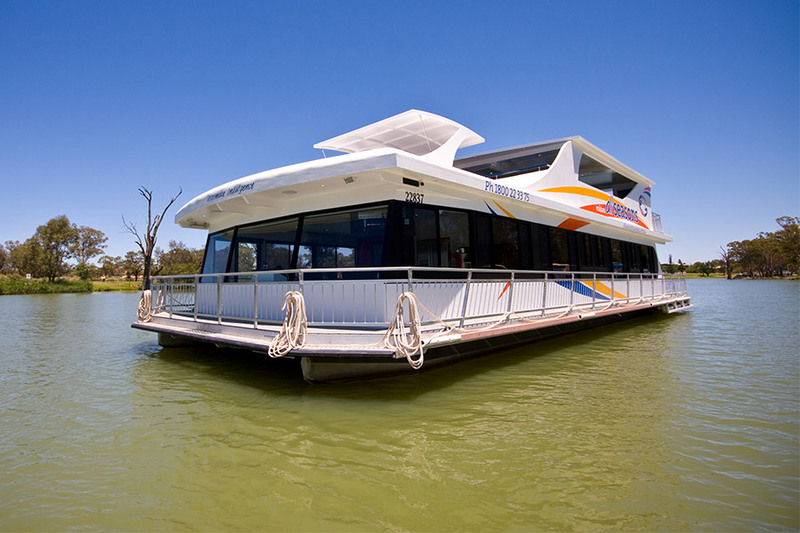 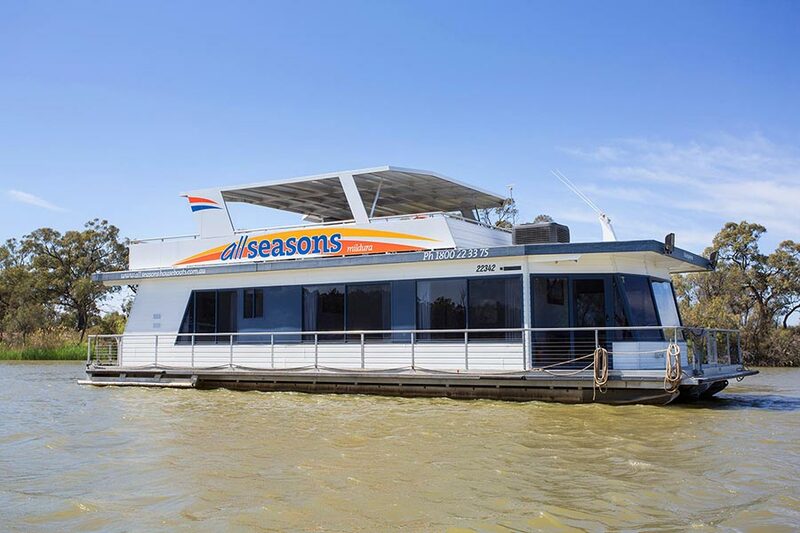 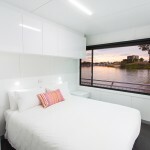 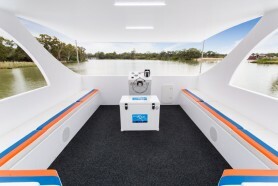 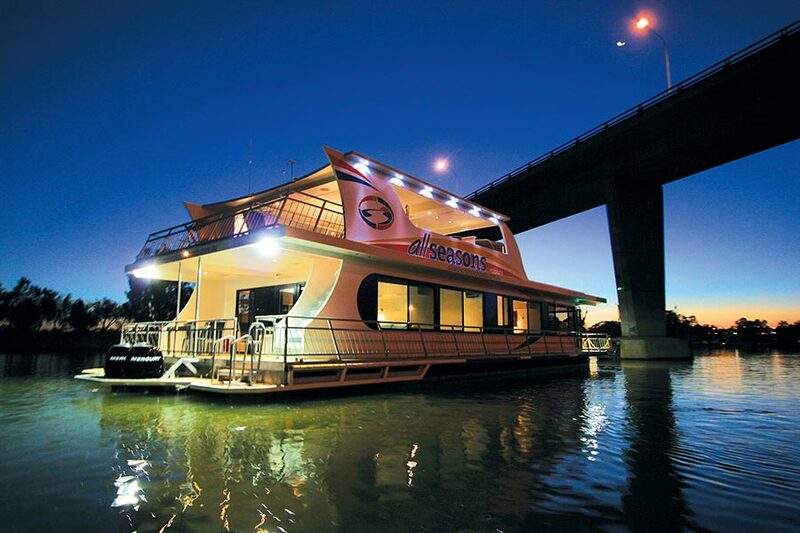 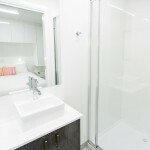 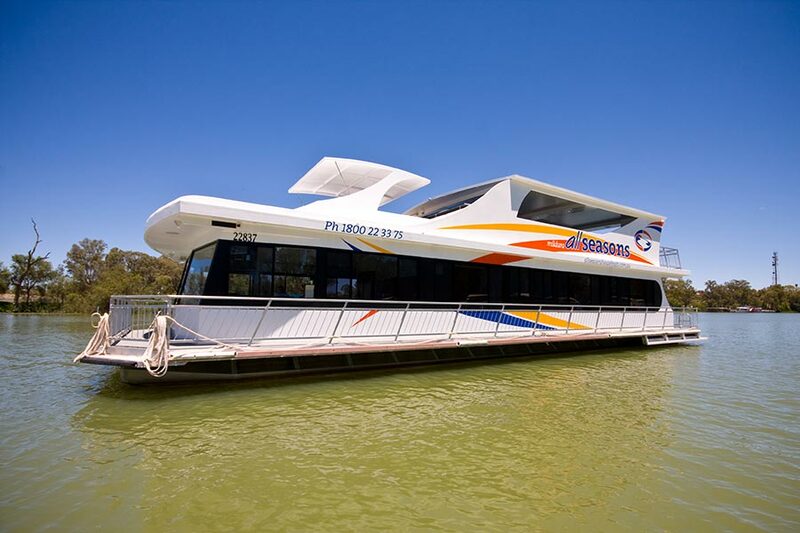 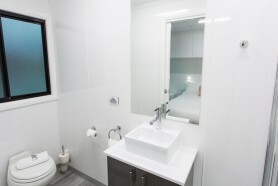 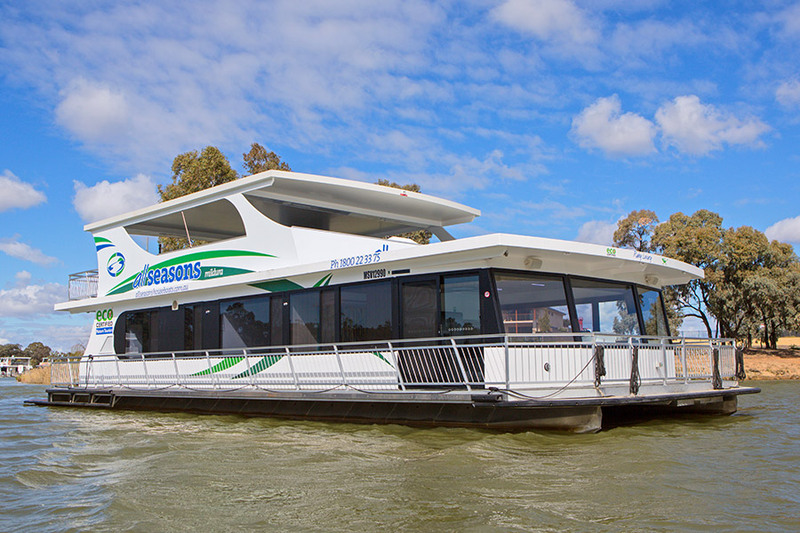 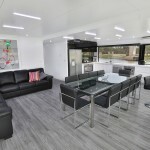 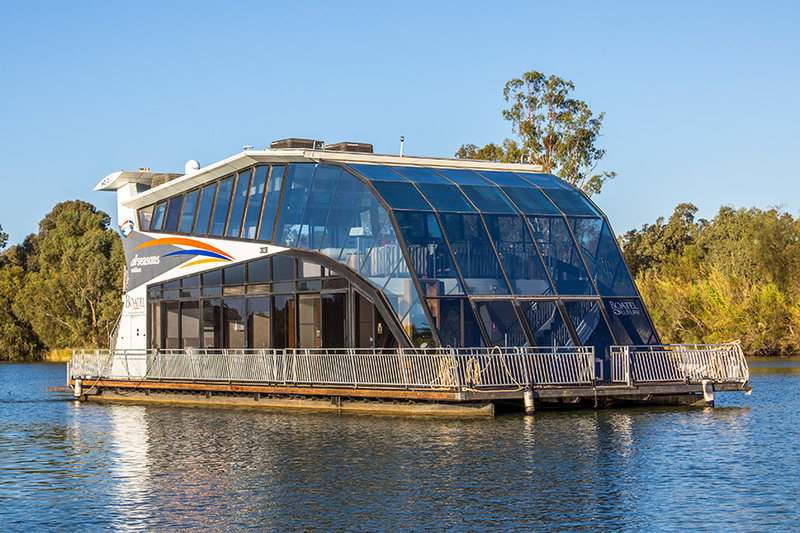 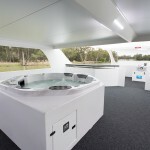 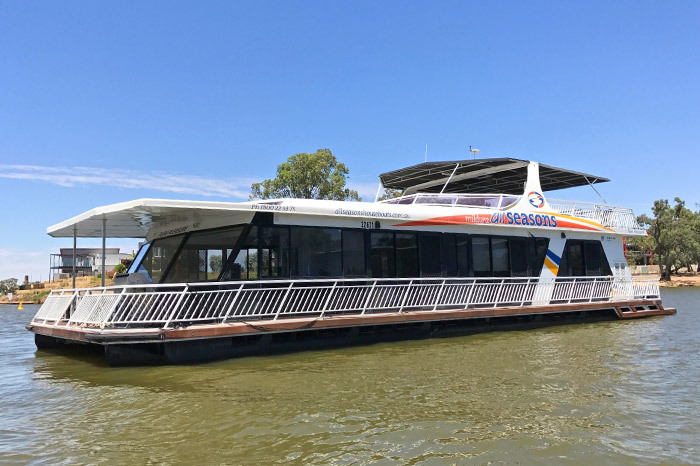 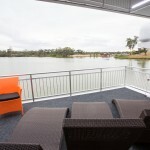 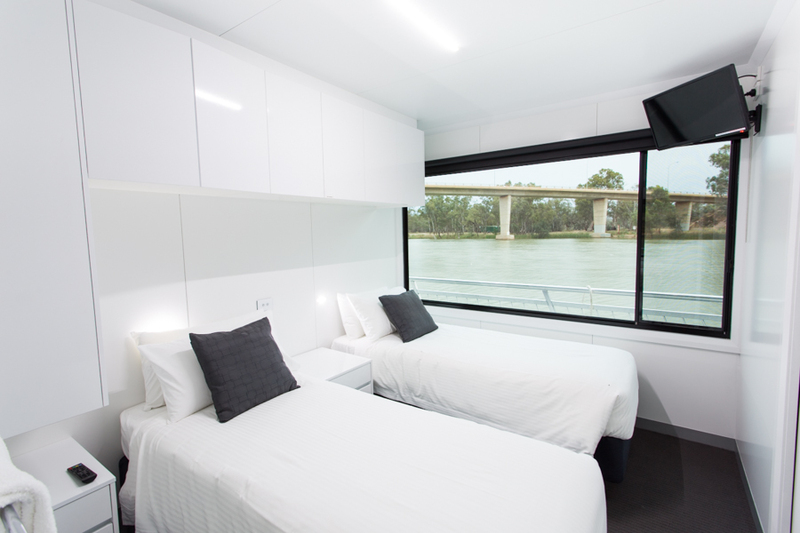 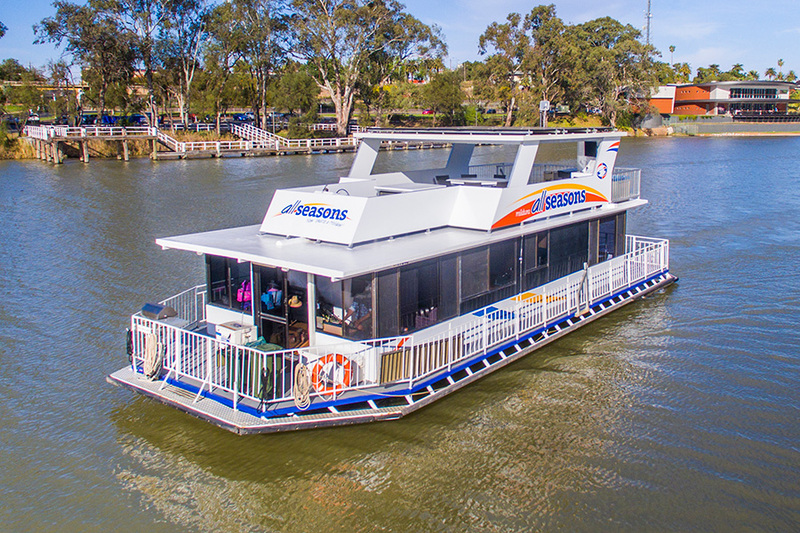 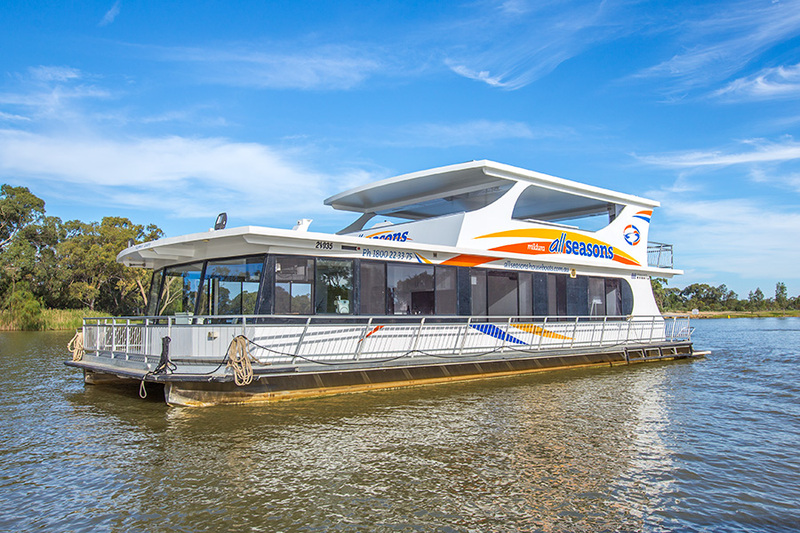 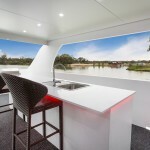 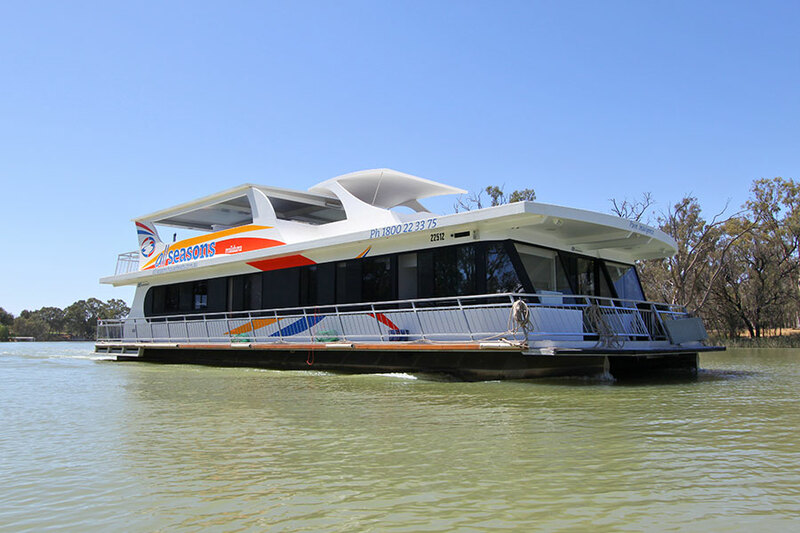 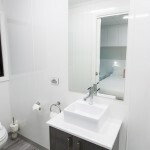 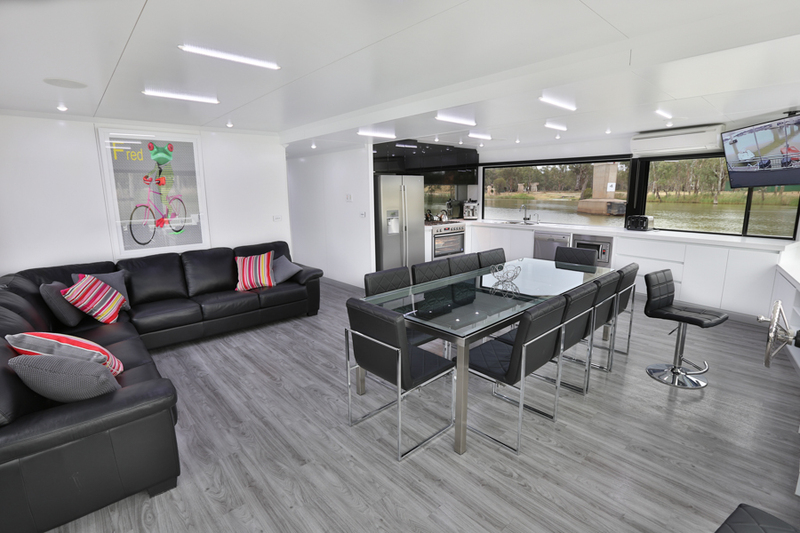 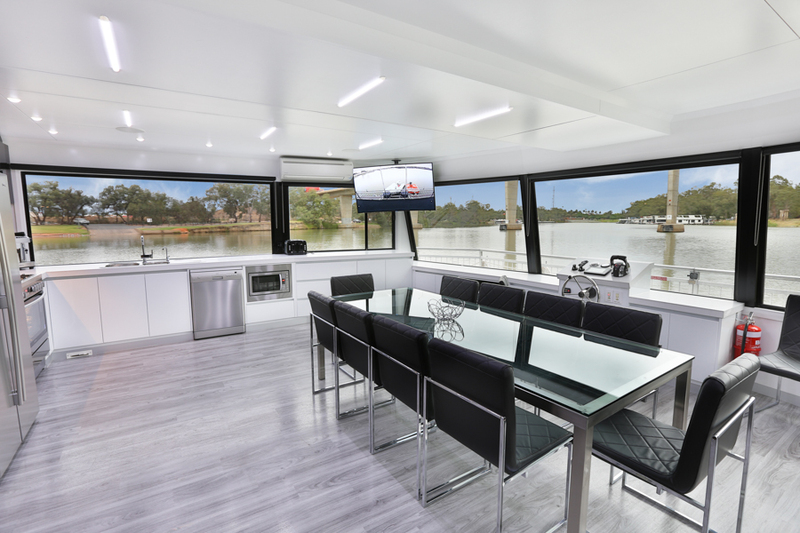 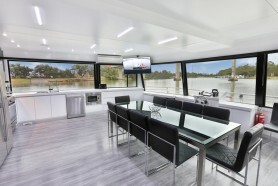 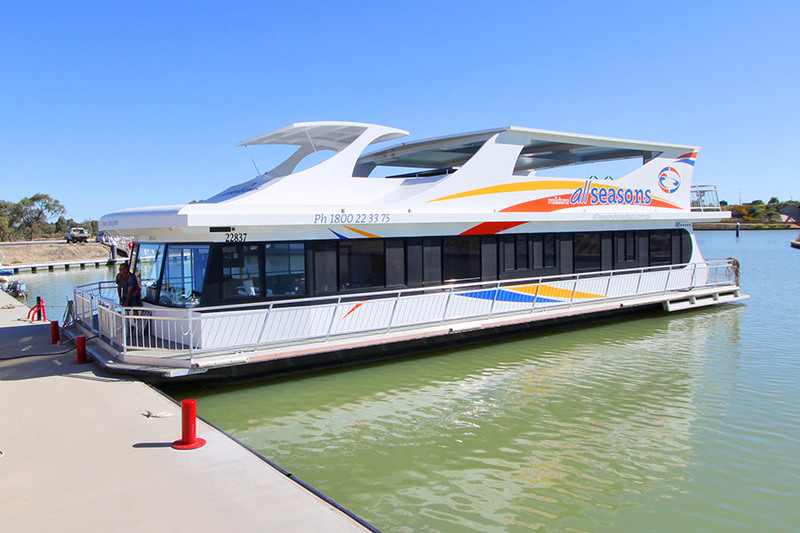 Platinum Indulgence is the newest houseboat on the river in Mildura and offers the discerning guest spacious 6 bedrooms, all with private ensuited bathrooms. 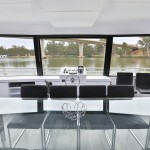 Relax aboard your own floating 5 star resort villa. 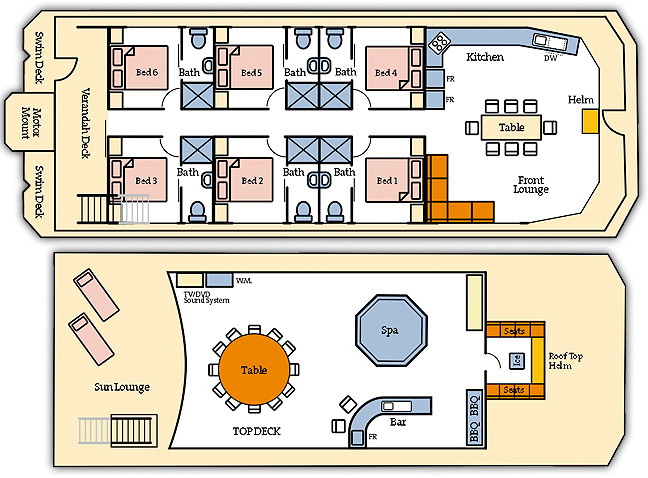 Platinum Indulgence offers spacious executive living in complete luxury and comfort. Your 12 berth luxury boat features reverse cycle air conditioning to all rooms and state-of-the-art appliances including Satellite TV, large screen LCD TV/DVD, blue-tooth links for smart phones, dishwasher, washing machine/dryer, large 2 door fridge with ice & water dispenser, coffee pod machine and microwave in a fully equipped floating kitchen. 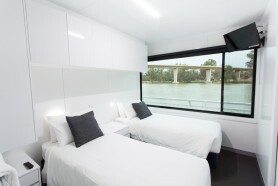 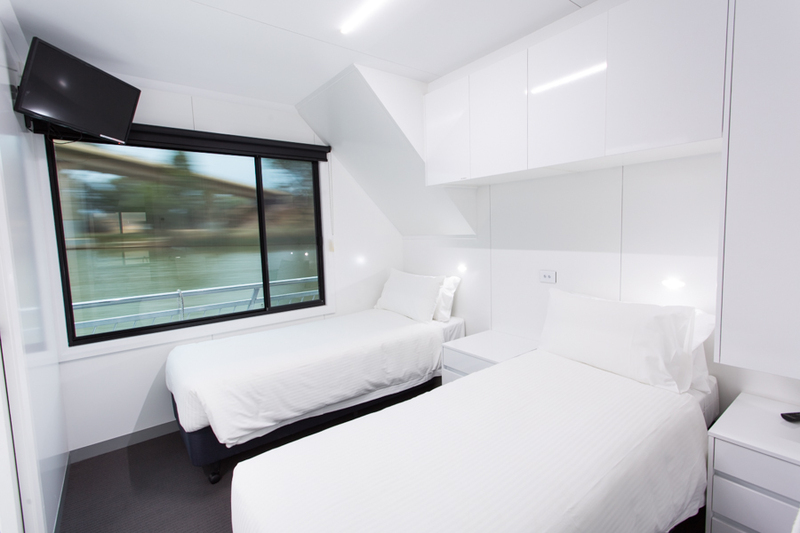 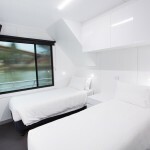 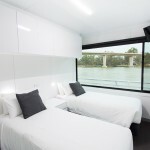 This houseboat has 6 spacious bedrooms all with private ensuite bathrooms and personal TV/DVD. The under cover top deck is your own private resort with luxury spa, sun beds, gourmet BBQ, helm deck and huge entertaining area complete with your own bar. 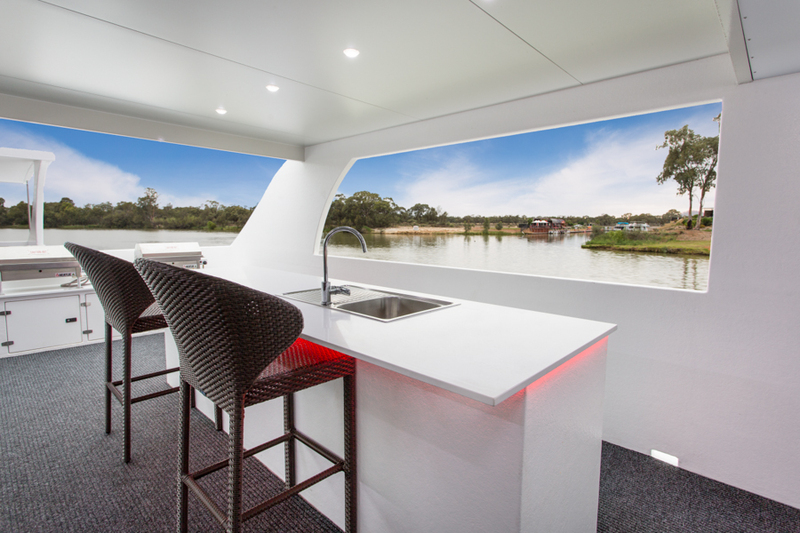 Upstairs outdoor heating with pull down side curtains allow the top deck to be used all year round. 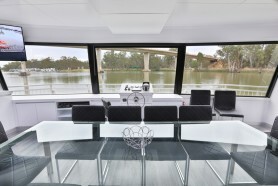 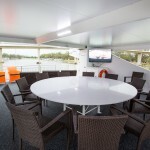 Cruise the river in total style and complete luxury. Platinum Indulgence is the new standard on luxury holidays. 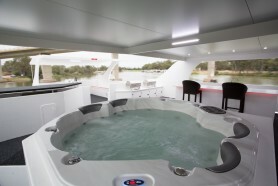 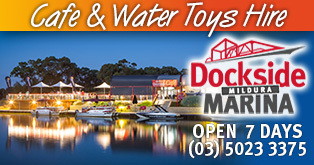 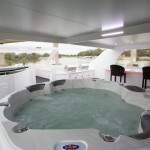 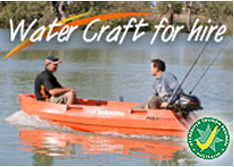 FREE PolyCraft Runabout Hire with every Platinum Indulgence holiday booked. 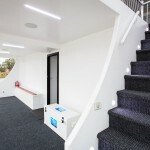 the latest news and what’s on.